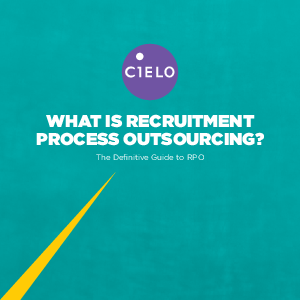 > Cielo > What is Recruitment Process Outsourcing? The need for quality talent never ends. New growth, new product lines and new acquisitions: these are just a sampling of the many situations that create new challenges for talent acquisition – most critically, finding and attracting the right talent. Even the best organizations struggle with this responsibility, because talent acquisition is not what they do best. We believe businesses must focus on being the best in their industry, not on being the best at sourcing and acquiring talent. Recruitment Process Outsourcing, or RPO for short, provides just that.